Apple recently leased a 96,000-square-foot warehouse in Sunnyvale, Calif., last used by Pepsi as a bottling plant in a move that grows the company's presence in an area previously tied to work on Project Titan, colloquially known as the "Apple Car." 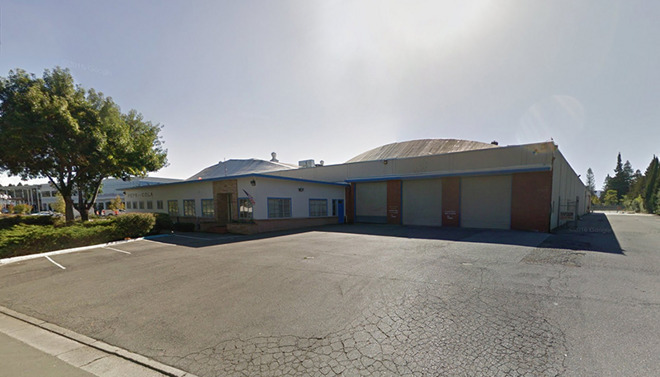 According to a loan document filed with the county clerk's office and reviewed by the Silicon Valley Business Journal, Apple quietly leased the industrial property in November. It is not clear how long the lease is good for, or what Apple plans to do with the building, but the site is in walking distance of multiple land developments thought to be associated with the company's secret automotive initiative. An AppleInsider investigation last year uncovered Apple's Project Titan campus, a sizable complex of warehouses and neighboring offices recently renovated to accommodate a variety of secretive operations. For example, one building was outfitted with an "auto work area," while another boasts a "repair garage." Most recently, Apple's Sunnyvale campus was in the news following complaints from neighbors over loud "motor noises" coming out of the facility late at night. Members of the public also took issue with overly zealous security guards who appear to be shadowing passersby until they exit the area. The exact purpose of Apple's new Sunnyvale lease is unknown, and the most recent county permit filing is a voluntary seismic upgrade dating back to January. While the location has ties to Project Titan, the company is known to conduct sensitive research and development away from its headquarters in Cupertino. The off-campus health and fitness labs built exclusively for Apple Watch is a good example of the lengths to which Apple goes in the name of secrecy. As can be expected, Apple and its staff have deflected questions relating to the company's potential automotive ambitions. CEO Tim Cook in a recent interview said Apple's automotive industry hires do not necessarily reflect commitment to a single project. Still, rumors of an Apple Car persist, with some analysts expecting a reveal as soon as 2019 or 2020.